I figured most people usually only contact a company if something is wrong or to complain. I've boxed to keep fit for a few years and always picked up minor wrist injuries. 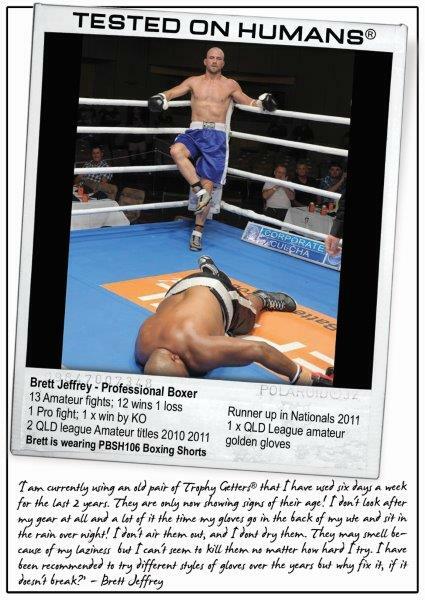 I've been in Brisbane for the past year and purchased a pair of your urban boxing gloves. The standard of the glove is great and I haven't had any wrist problems using them. The website and catalogue are also great and very informative. I am currently using an old pair of Trophy Getters® that I have used six days a week for the last 2 years. They are only now showing signs of their age! I don't look after my gear at all and a lot of the time my gloves go in the back of my ute and sit in the rain over night! I don't air them out, and I don't dry them. They may smell because of my laziness but I can't seem to kill them no matter how hard I try. I have been recommended to try different styles of gloves over the years but why fix it , if it doesn't break?! 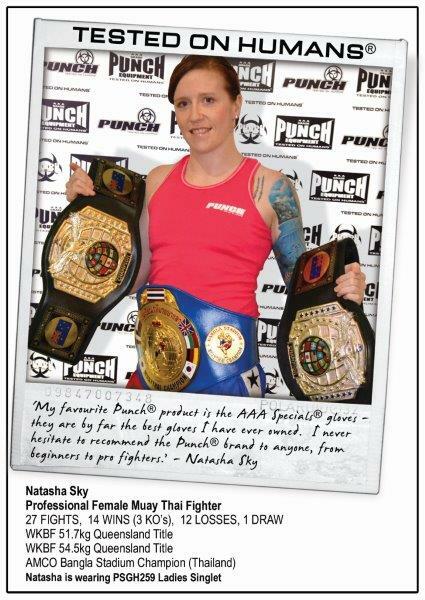 My favourite Punch® product is the AAA Specials® gloves - they are by far the best gloves I have ever owned. 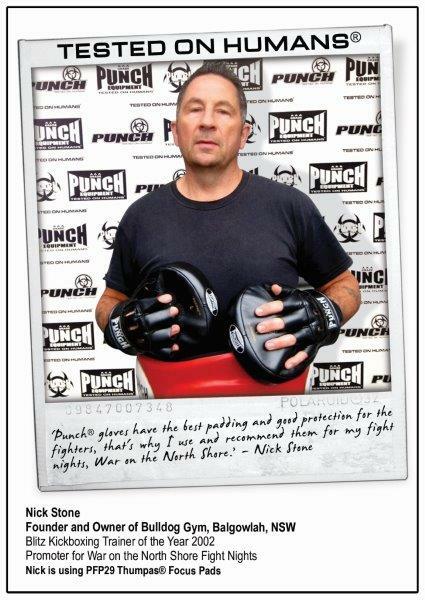 I never hesitate to recommend the Punch® brand to anyone , from beginners to pro fighters. 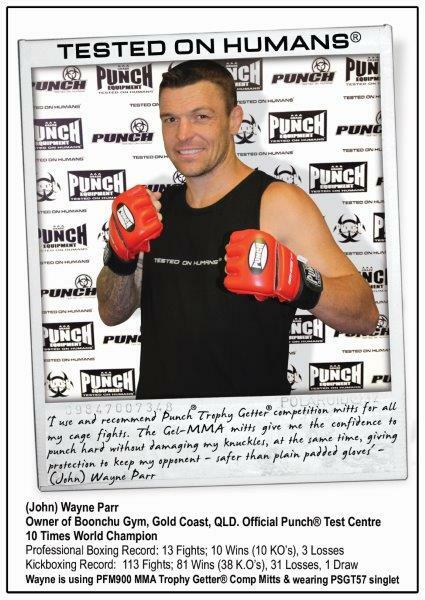 I use Punch® Equipment because they know what a fighter wants and expects in quality training and fighting gear. When they say 'Tested on Humans' they mean it... 'Tested on Humans®' - like me - and I can't thank them enough for their support in my fighting career. 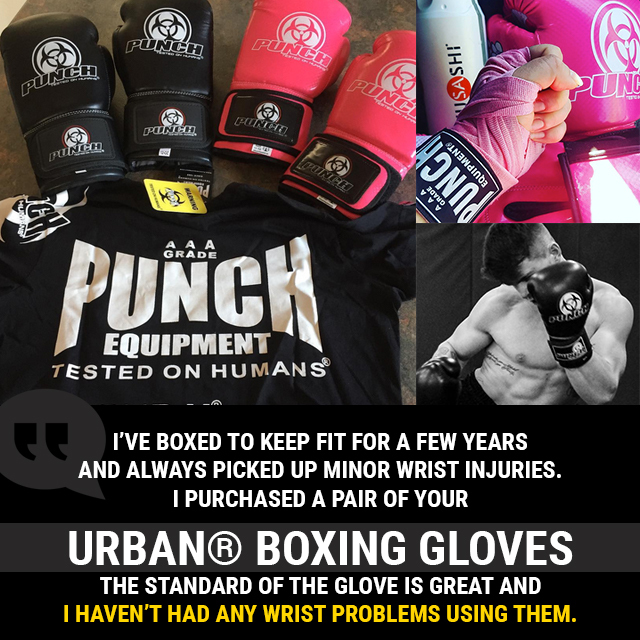 Punch® gloves have the best padding and good protection for the fighters, that's why I use and recommend them for my fight nights, War on the North Shore. 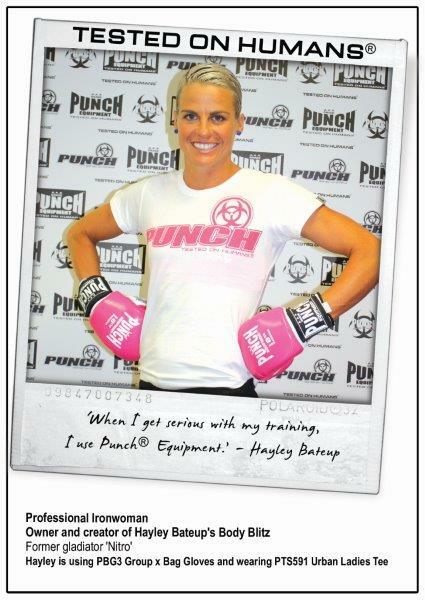 When I get serious with my training, I use Punch Equipment®. 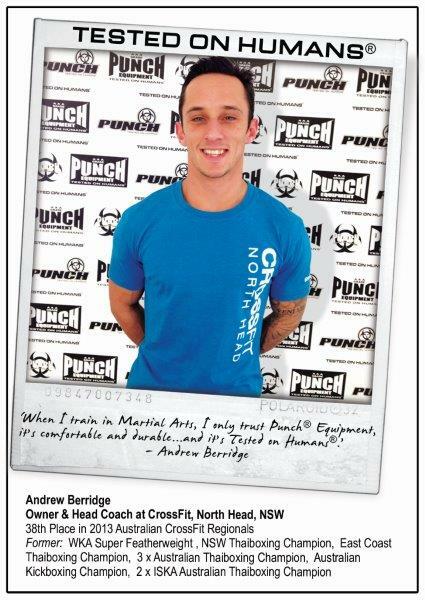 When I train in Martial Arts, I only trust Punch® Equipment, it's comfortable and durable.. and it's Tested on Humans®. 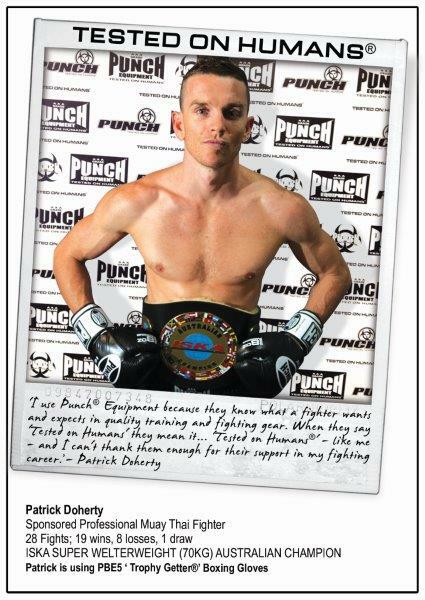 I love my Punch® Thumpas®. Great to hold, comfortable fitting, light and durable and like me - a pair of these are going to be around a long time. 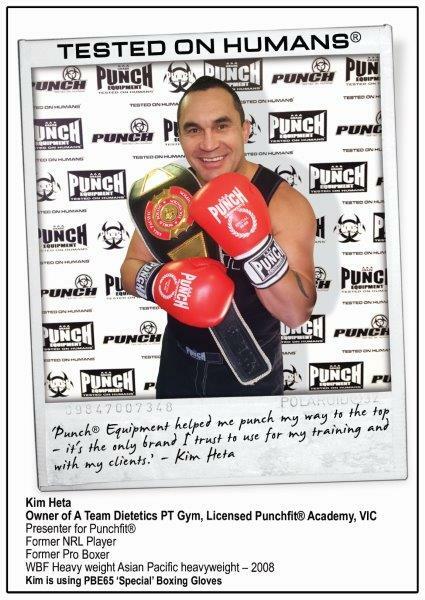 Punch® Equipment helped me punch my way to the top - it's the only brand I trust to use for my training and with my clients. 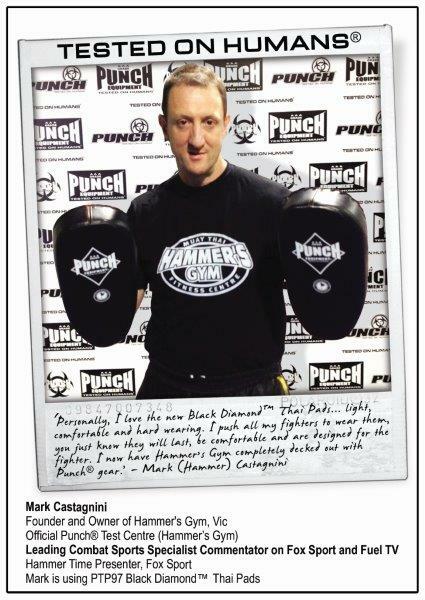 Personally, I love the new Black Diamond Thai Pads... light, comfortable and hard wearing. I push all my fighters to wear them, you just know they will last, be comfortable and are designed for the fighter. I now have Hammer's Gym completely decked out with Punch® gear. 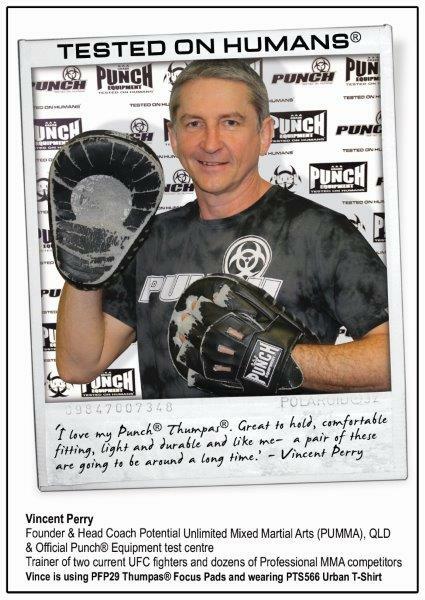 I use and recommend Punch® Trophy Getter® competition mitts for all my cage fights. The Gel-MMA mitts give me the confidence to punch hard without damaging my knuckles, at the same time, giving protection to keep my opponent - safer than plain padded gloves. 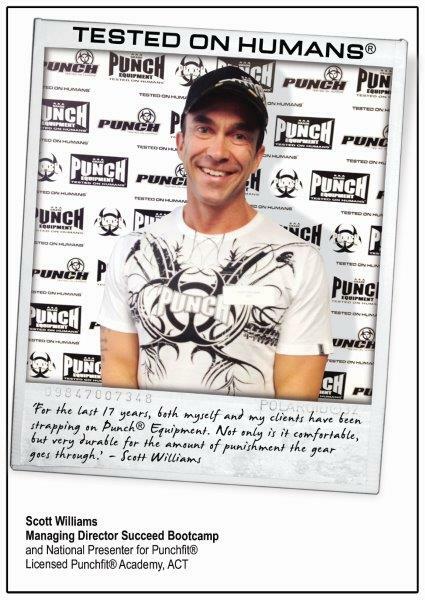 For the last 17 years, both myself and my clients have been strapping on Punch® Equipment. Not only is it comfortable, but very durable for the amount of punishment the gear goes through.